One of the most beautiful Irish castles, Parke’s Castle in County Leitrim and the lands around it originally belonged to Sir Brian O’Rourke who was a Gaelic chieftain. 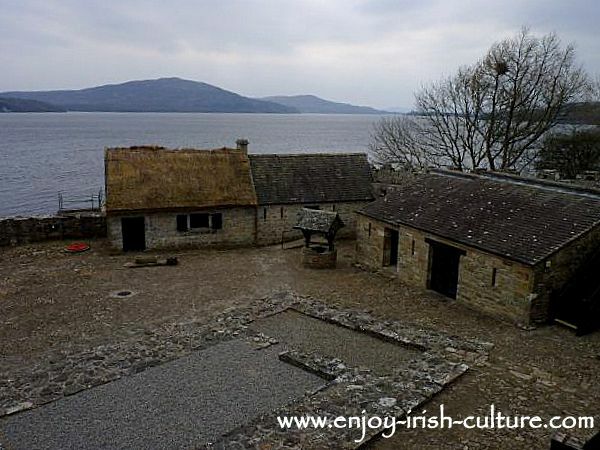 He had built a tower house here which was eventually demolished, but the foundations of it can be seen to this day in the castle's courtyard or bawn, see them on the photo below. Parke's Castle, County Leitrim, Ireland. 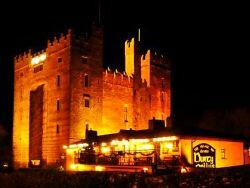 Sir Brian O'Rourke was known locally for his dislike of the English raiding them at night. In reality, he was probably raiding whoever he could, the English being one of his target groups. In September 1588 three Spanish Armada ships were stranded at Streedagh in a bad storm. They had been part of a fleet of twenty ships and were supposed to start war with England. Now stranded, most sailors drowned, and of those who made it to the beach, most were slaughtered by the English straightaway. Less than a hundred survived and on the recommendation of locals made their way to O’Rourke’s lands where they hoped to be fed and to receive help returning to Spain. Sir Brian O’Rourke was out however, probably raiding. The castle turned down help, but nearby villagers provided blankets and food. Some Spaniards then made their way back to the beach because the word was out that the Armada had sent another ship to pick up survivors. As luck would have it that ship, too, was destined to sink in Irish waters. Some didn’t make it back to the beach on time though, and at least one of them, a Francesco De Cuellar, made it back to the castle of the O’Rourkes and was eventually entertained by the lady of the castle who took a liking to him. For this humanitarian act of aiding the Spanish survivors, Sir O’Rourke was declared a traitor. He fled, but was captured, and hanged in London in 1591. His lands were confiscated. and became an English plantation sold to a new owner, one Captain Parke who built the castle that is now in existence. 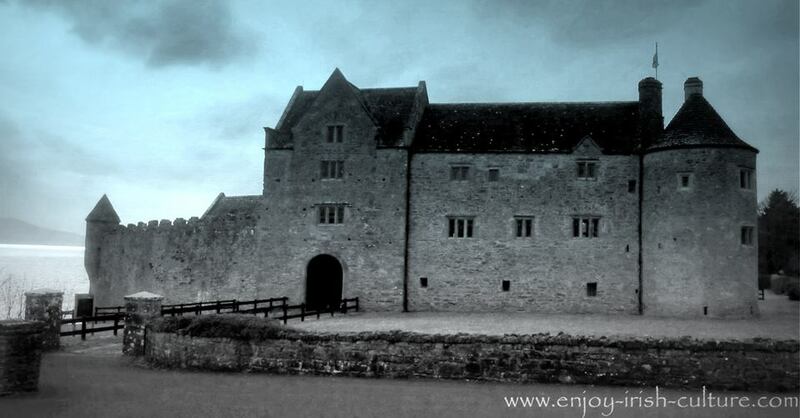 Captain Parke himself continued to live at Leitrim Castle, so this castle must have been a getaway of sorts. Parke’s Castle can be visited from April until September, and is definitely worth the trip if you happen to be in the area. Click here for tourist information on the castle. 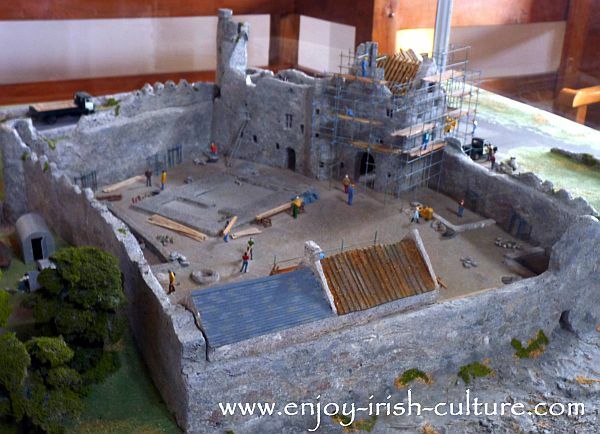 This Irish castle had everything a medieval castle had to have. For entertainment, there was a rather large banqueting hall, and there were comfortable living quarters for the captain and his family. There was a forge to shoe horses and make tools, a well which made the castle capable of holding out against potential invaders for a long time. 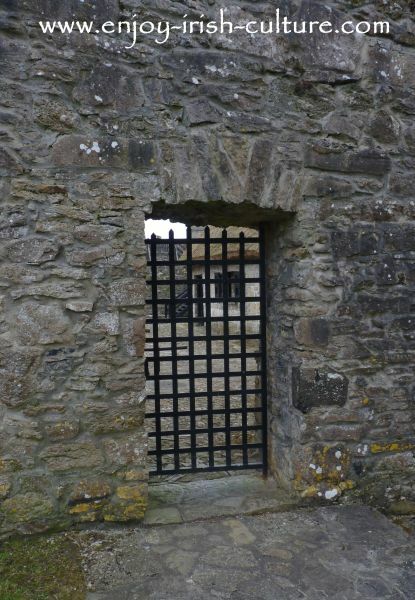 Parke’s Castle had a good defense structure which included a defended stairway, battlements, a moate, a very secure, tall bawn wall and heavy gates. There was a watch tower on the lake side, and even a pigeon tower for the medieval version of email- fast communications. However, Parke’s Castle was built a bit late in the day where fortifications are concerned. In reality, fortifications were outdated from the moment that guns became commonplace. A castle could not hold out for long against cannons or assault guns, no matter how thick the walls. 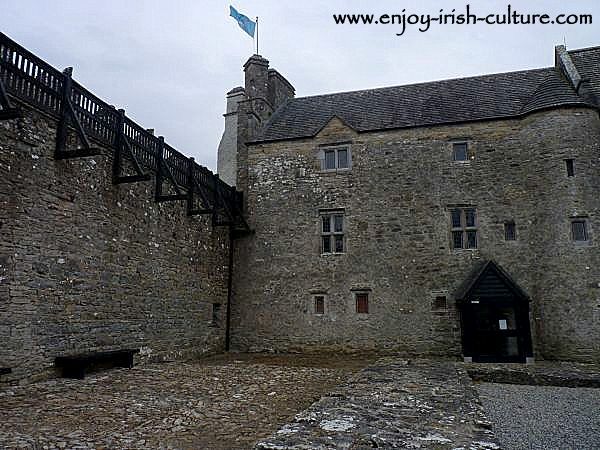 Find tourist information about Parke's Castle here, and read about the features of this castle here. If you enjoyed this page on Parke's Castle in County Leitrim, and if you like what we do, why not tell the world of social media this website exists so that other people may enjoy our content, too! We have provided social functions both at the top left and at the bottom of the page so a shout out will only take you a few seconds of your precioous time. Much appreciated!